What is SMART Protect body repair insurance? SMART body insurance provides effective protection against minor damage on your vehicle bodywork*. It helps keep your vehicle in pristine condition with minimal outlay in both time and money. One phone call can put you in touch with a network of over 150 qualified SMART technicians who use the latest technology to restore your vehicle to as good as new. Most repairs can be completed in two hours or less at your home or workplace. Whether you have a chip, dent, and scratch or scuff SMART can help you protect your vehicle’s resale value and safeguard your no-claims bonus. All repairs are covered with a lifetime ownership guarantee and you can make multiple claims in the same policy year. To find out more about SMART insurance, contact Thames Motor Group today or click the enquiry button. 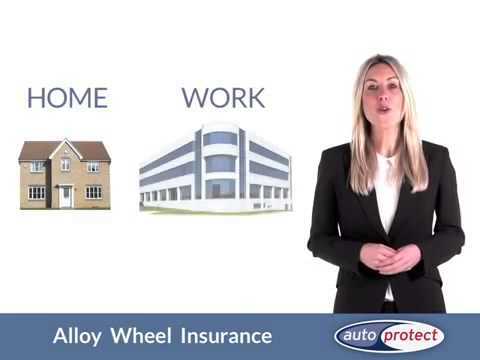 Why not add AutoProtect Alloy Wheel insurance? Alloy Wheel insurance was added to the AutoProtect range to complement SMART Protect insurance and can be combined with the SMART Protect insurance at Thames Motor Group. Similar to SMART Protect, it enables a customer to maintain the appearance of their alloys, should they suffer minor damage, without affecting their no claims bonus. *In order to establish if the damage is repairable under the SMART system you will be provided with a C.A.R.S assessment template as below to ascertain the extent of the damage and whether it can be repaired under the terms of the claim. Minor Damage is any chip, minor dent, light scratch and/or scuffed bumper. In the case of multiple damages being causes by the same incident, the total size of the combined damaged area must also be no larger than 15cm in diameter and 3mm in depth and sit within 1 body panel.